research on the physics of cosmic rays is one of the leading destinations in the institute. Foundations were laid in this direction D. Skobeltsyn and SN Vernov, on whose initiative was deployed as a systematic study of the characteristics of the primary cosmic ray origin and acceleration mechanisms, the energy spectra of the charge composition, anisotropy, and the characteristics of their interactions. generation of cosmic rays occurs in many astronomical objects and essentially define the MHD structure of space plasma in the galaxy, and the energy density of cosmic rays is that is comparable to the total density of the electromagnetic radiation of the stars, the energy of motion of the interstellar gas, and the energy density of the magnetic Galactic field. 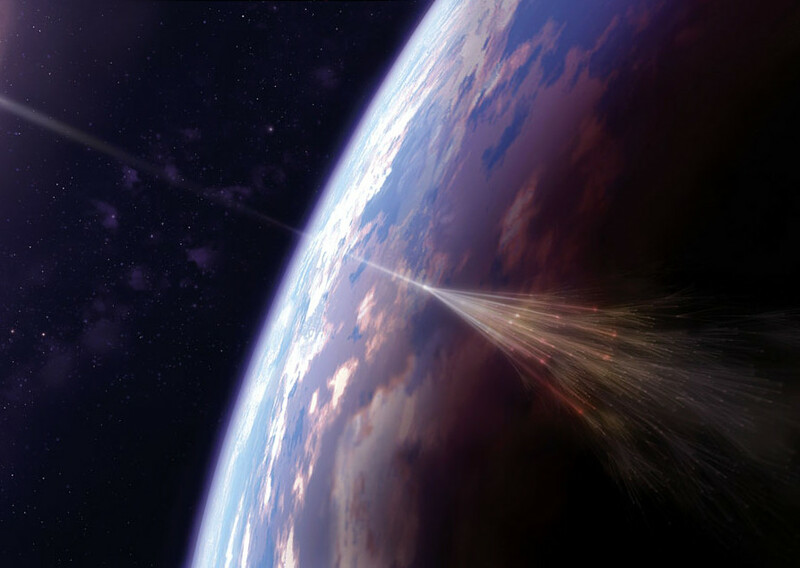 Therefore the study of the origin of cosmic rays and their propagation to the Earth - one of the most important problems in astrophysics. Direct experiments on the spectrum and composition of primary cosmic rays are conducted in SINP since 1957. That's when scientists SINP was created ionization calorimeter. An active part in the experiments took INP PAMIR, RUNJOB, ATIC, etc. studies of cosmic rays at ultrahigh energies by analyzing latitudinal air showers were conducted in a series of installations Tunku, EAS MSU (installation, located in the territory of the Moscow State University). On Lake Baikal works installing deep muon and a neutrino. In addition to ground-based observations, SINP participated in a series of experiments on satellites "Proton", "Falcon" and other ultra-high-energy cosmic rays make it possible to study interactions at energies exceeding achieved in accelerators. Although this source of particles can not meet the requirements for accelerating beams in SINP obtained a number of interesting findings. On our site you can find information on current experiments conducted in the SINP.